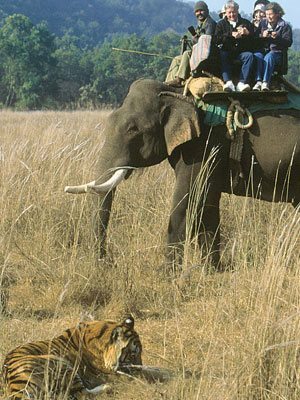 Jim Corbett National Park is among the few national parks of India that permits night stay inside the core zone of the park. Tourists can ask for the night accommodation permit between mid November to end of the June every year. You could imagine the place where you can see the world majestic big cat called Royal Bengal Tiger roaming around your forest lodges. The night stay inside the core area of the jungle gives you an opportunity to view variety of wild animals by your naked eyes. Forest Lodges: For better tourism management and to make equal distribution of the flow of visitors the Jim Corbett National Park has been divided in to five tourism zone and each zone offers night stay inside the forest rest houses that is erected by the forest officials. 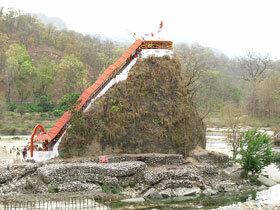 Tourists are allowed to make reservation minimum for 01 Night and maximum for 03 nights only. 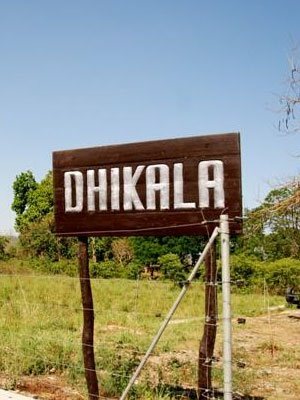 Government recognized forest houses are Bijrani Forest Rest House, Malani (inside Bijrani Tourism Zone), Sultan, Gairal, Sarapduli, khinnanauli and Dhikla forest house (inside Dhikala Zone) and Jhirna inside the Jhirna tourism zone. Food and Canteen Tourists to the Corbett National Park might be worried what to eat while staying inside the forest lodges. But we need not to take concern of these facilities as forest department has set up food canteens inside the Bijrani, Gairal and Dhikala Forest lodges. Guest coming to the park is served with basic Indian cuisines. Please note that consumption of non-vegetarian food and alcohol is strictly prohibited inside the rest houses. 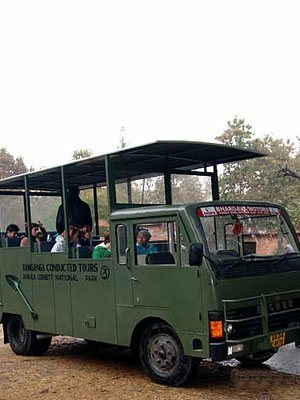 Some More Facilities & Services In order maximize the wildlife sightings and complete tour around National Park, Corbett provides trained nature guides that accompany you while roaming inside the jungle. 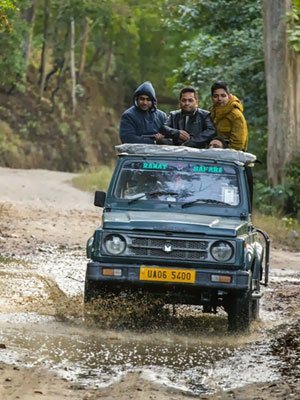 These naturalist or guide is registered with the forest officials and help tourists in spotting the tigers and not to lose your way inside the forest.